LOUIS J. BEVILACQUA, PsyD, NCC, is the Clinical Director of Connections Adolescent and Family Care. He specializes in the treatment of families and couples as well as behaviorally disordered youth, depression, cutting, and suicide. 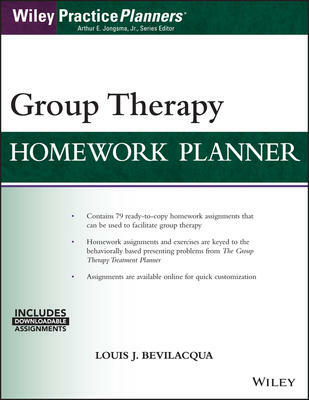 Bevilacqua is also the coauthor of Brief Family Therapy Homework Planner (Wiley).